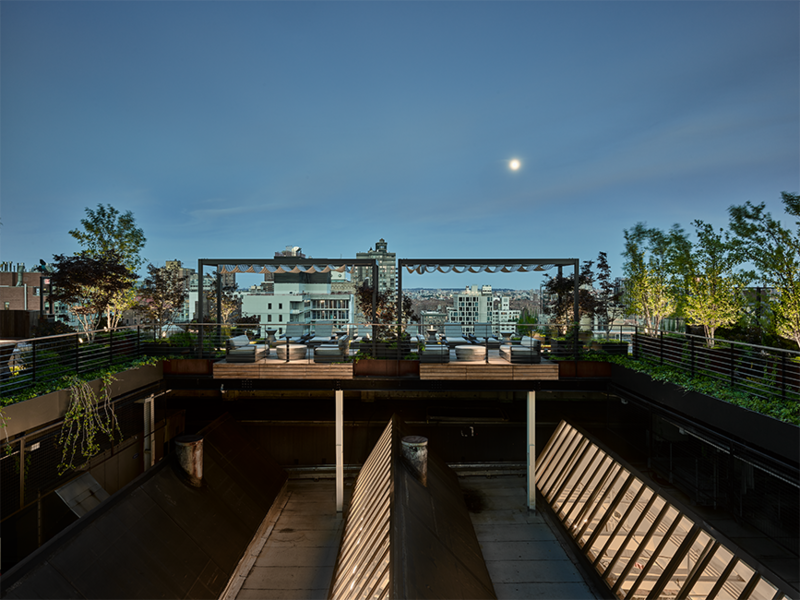 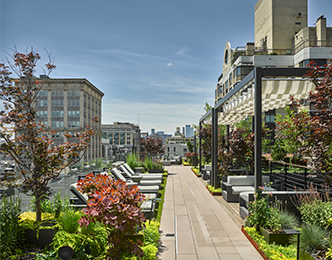 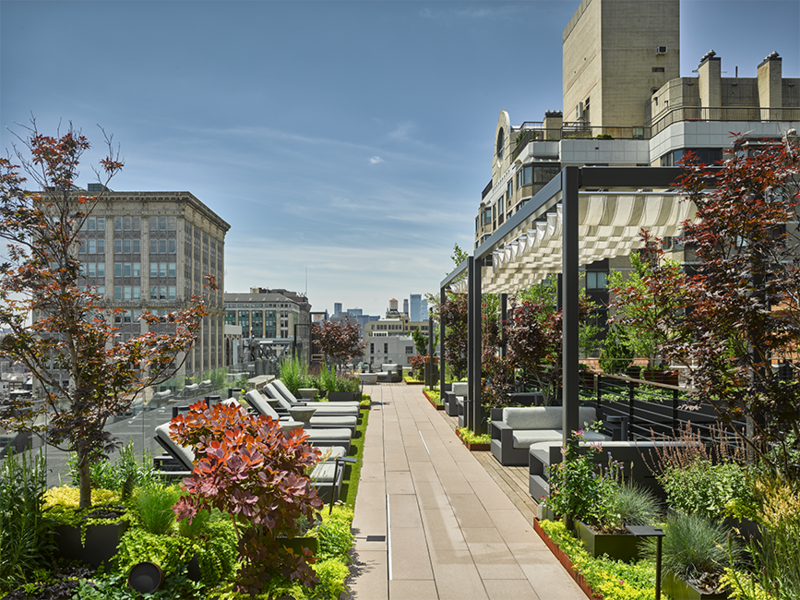 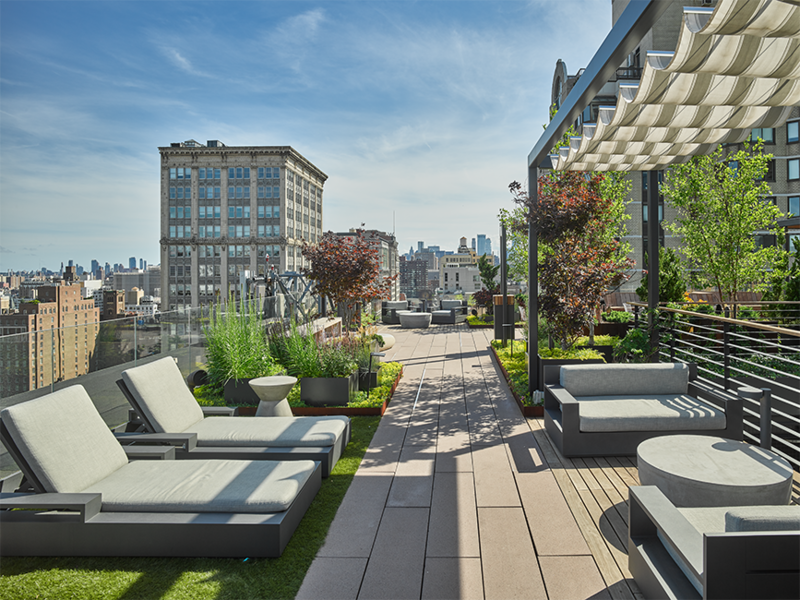 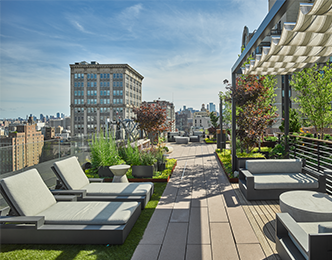 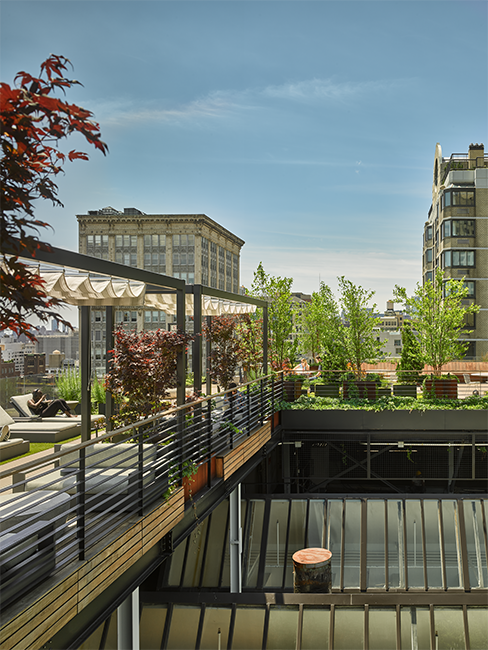 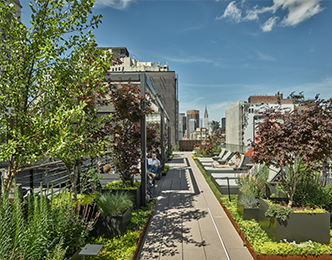 Murdock Solon Architects completed a private rooftop garden in the Flatiron District of New York City. 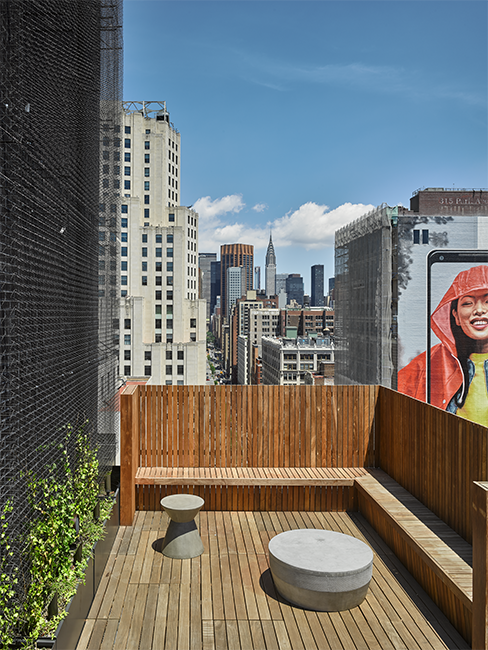 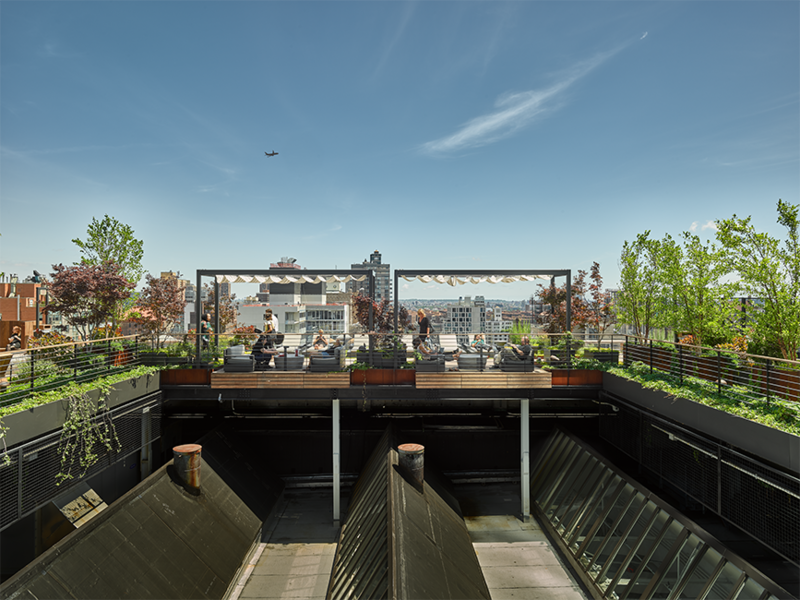 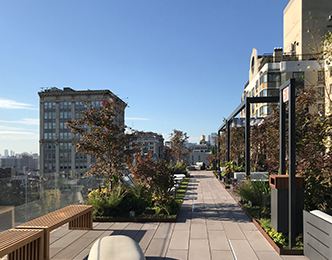 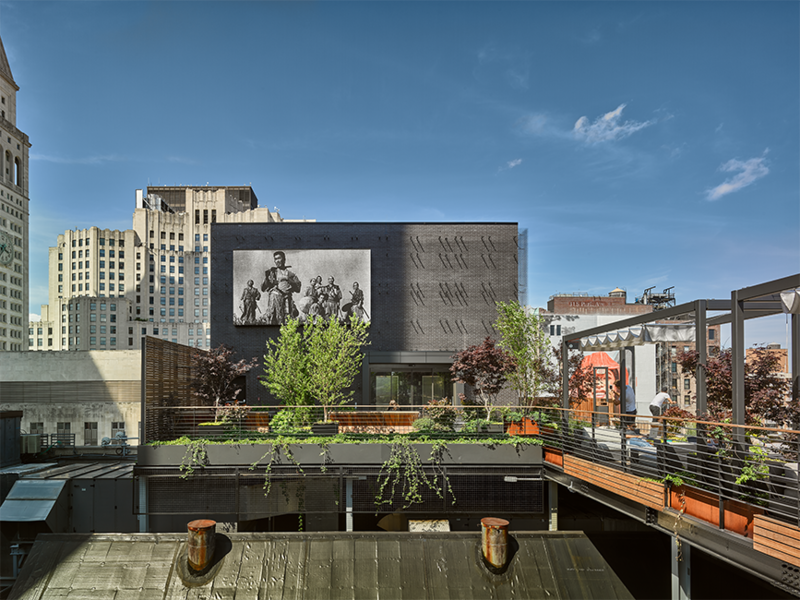 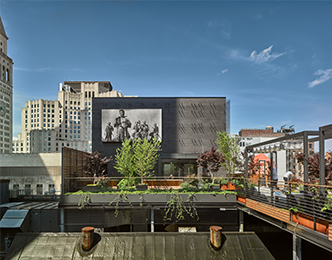 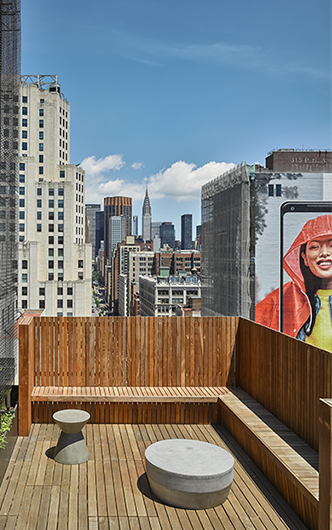 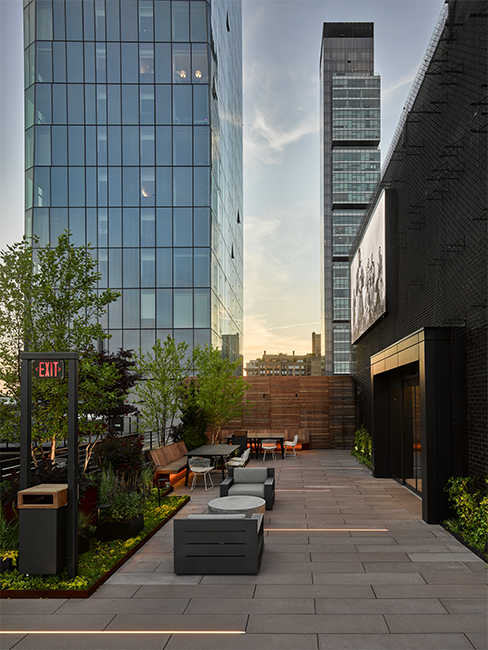 For use by all building occupants, the rooftop includes a movie-theater-like projection screen, intimate lounge areas with covered seating, and informal dining tables. 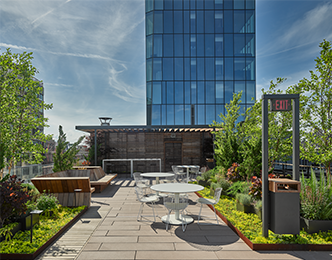 Wood benches strategically surrounded by greenery create outdoor rooms. 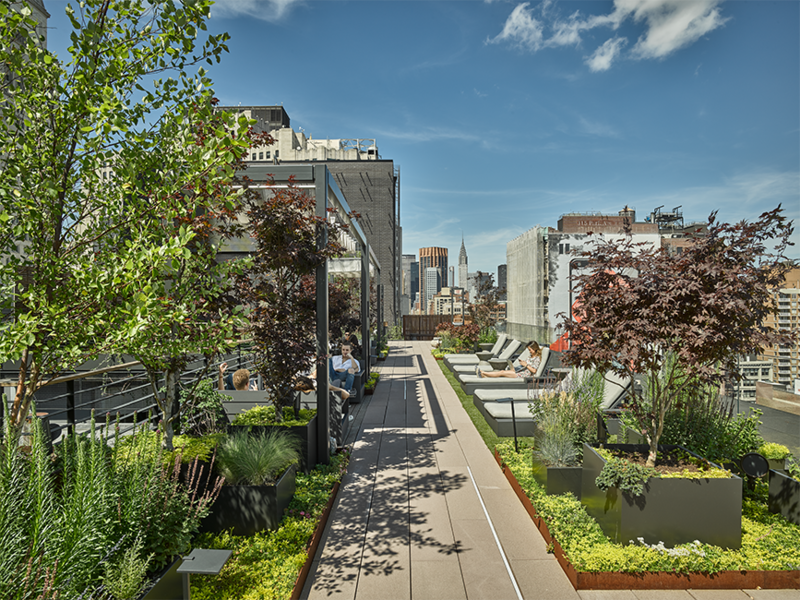 The space is dramatically anchored by 20-foot trees in the center court with perennial plantings around the perimeter resulting in an outdoor space that is both beautiful and functional year-round. 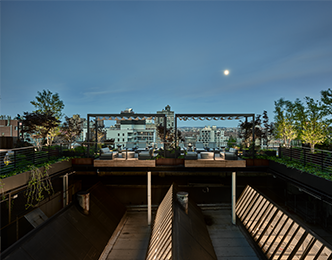 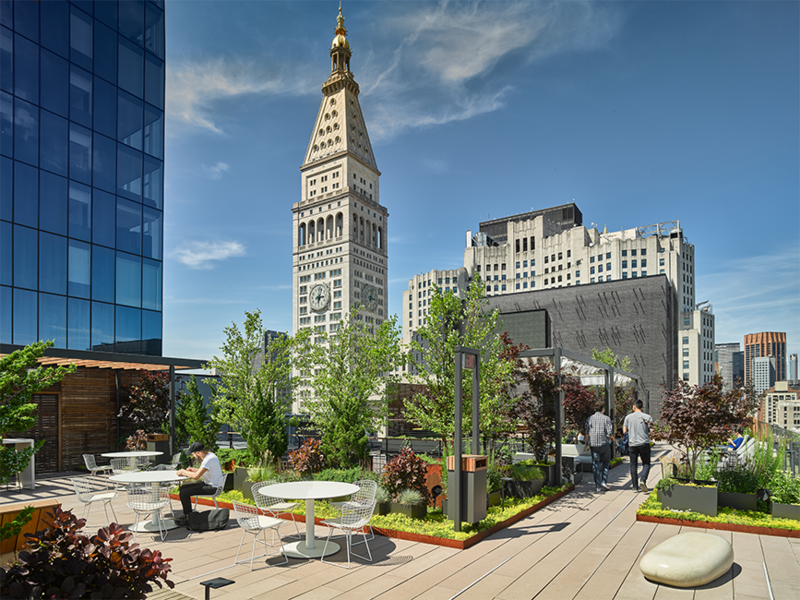 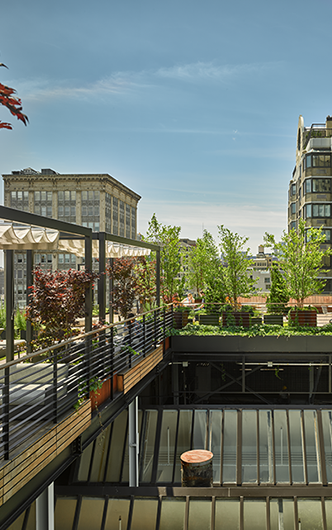 Murdock Solon Architects completed a new private rooftop garden in the Flatiron District of New York City. 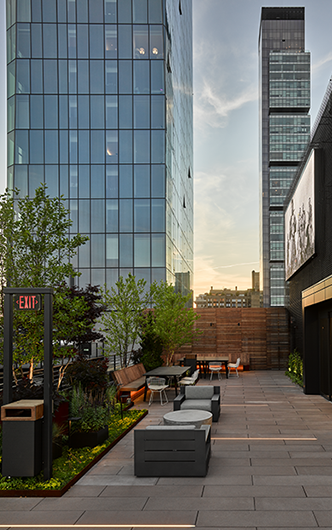 For use by all building occupants, the rooftop includes a movie-theater-like projection screen, intimate lounge areas with covered seating, and informal dining tables. 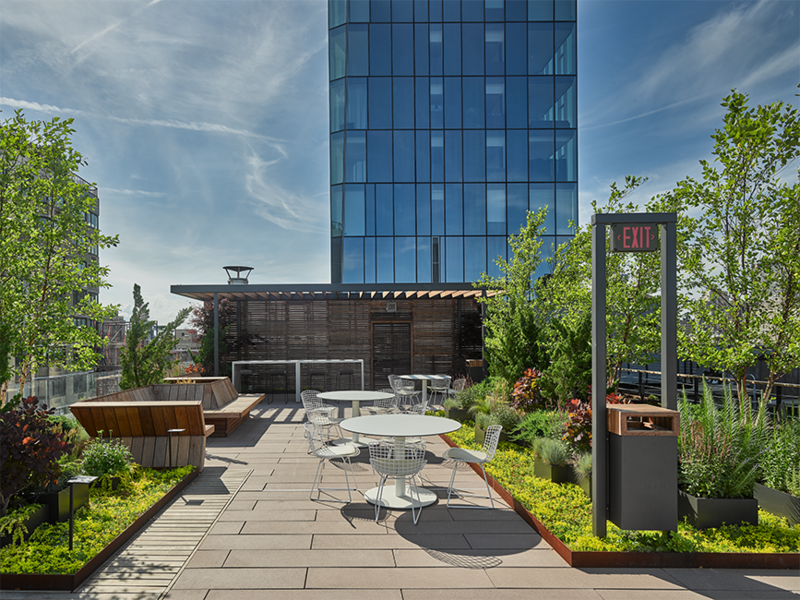 Wood benches strategically surrounded by greenery create outdoor rooms. 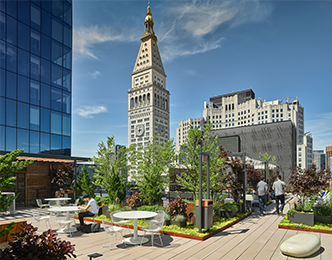 The space is dramatically anchored by 20-foot trees in the center court with perennial plantings around the perimeter, resulting in an outdoor space that is both beautiful and functional year-round.